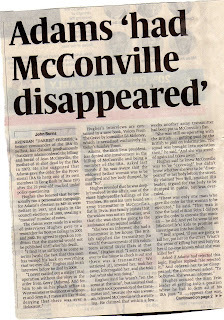 Kateys Diary: Gerry Adams had (Jean) McConville disappeared. 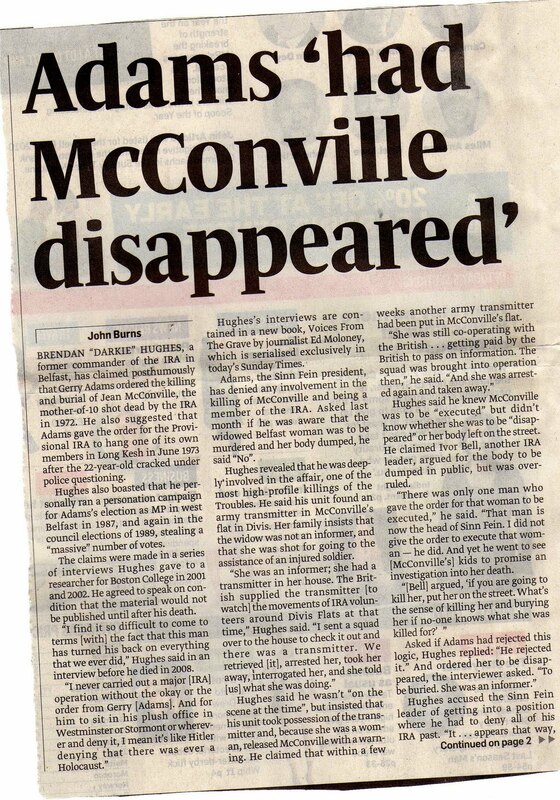 Gerry Adams had (Jean) McConville disappeared. This is a truly shocking story on the background of Gerry Adams. It is a serialisation from the Sunday Times of a book to be published this week. Voices from the Grave by Ed Moloney is due out within days. created by Kateyo at approximately 2:30 AM Categories Belfast, Gerry Adams. Belfast . Irish News.